Digital product. You will receive a download link that will be active for 14 days after we register your payment. It will be possible to download the file twice with the link you receive. Produkt cyfrowy. Po zaksięgowaniu wpłaty otrzymasz link do pobrania pliku, który będzie aktywny przez 14 dni. W tym czasie możesz plik pobrać dwukrotnie. I’d like to present a slightly different approach of sewing jewelry with colorful braid cords to all lovers of soutache. 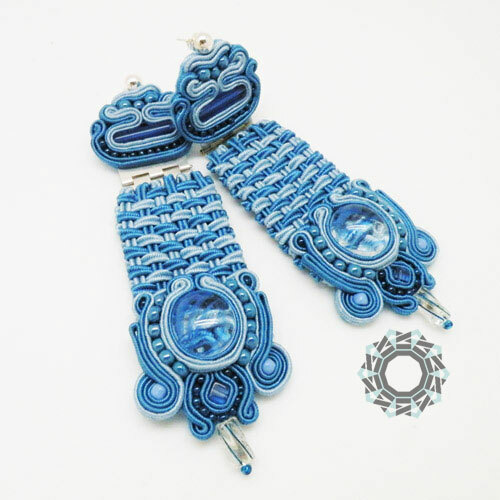 This is an example of soutache jewelry that allows to create three-dimensional forms, as opposed to traditional designs. 3D Soutache Technique allows to forgo dull and not-so-esthetically-satisfying backings (usually done with felt, thin suede or leather). Finished works are like small sculptures and can be viewed at any angle. 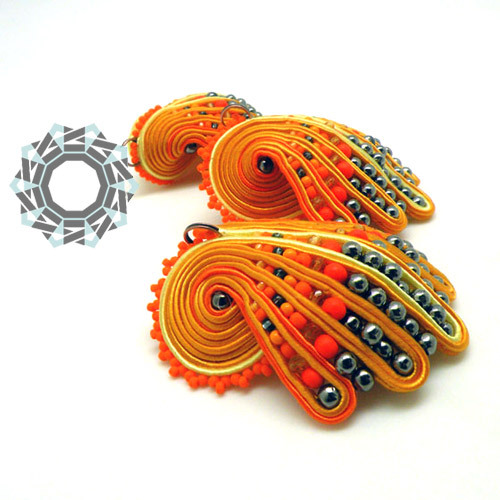 To make these earrings, you will need three colors of soutache braid cord (in this case two shades of orange, and yellow) and eight kinds of beads ranging from 1,6 to 4 mm with gradually increasing sizes. 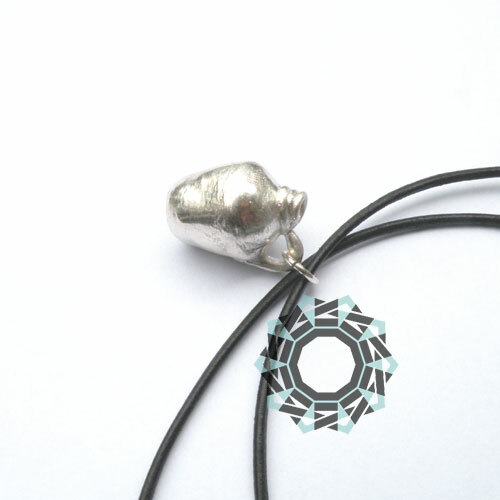 You can use single, or many color of beads. 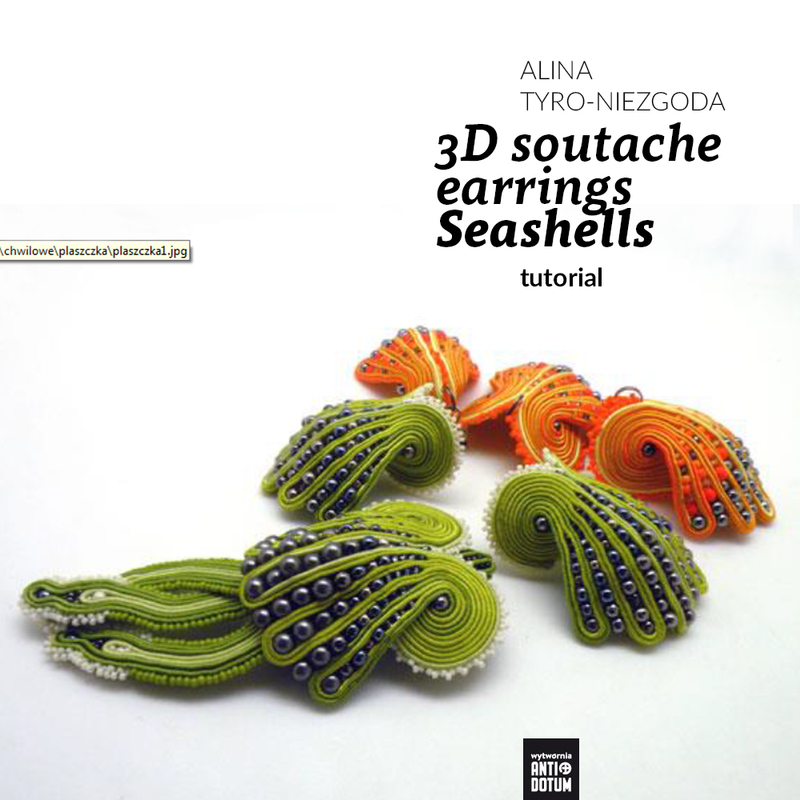 Tutorial: Kolczyki Muszelki 3D Tutorial: 3D earrings "Young Ferns"